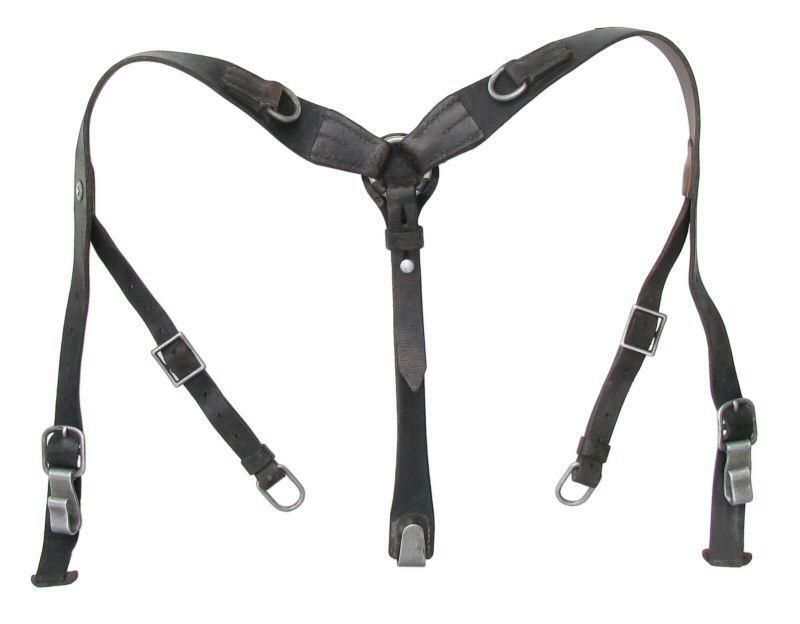 The Y - belt in this form (with support straps) was introduced in April 1939 and initially only intended for Infantrymen in rifle companies. Later in the war the Y-belt also was authorized for motorcycle units (1941) and bicycle units (1943). The function of the belt is to evenly distribute the weight of the equipment (which was considerable). uniform belt hooks with the internal suspenders for the M36 Uniform which will be covered in another section. The belt is made of smooth leather, painted black on the outside and natural colour from the inside. The metal parts are initially made from a aluminum but as the war progressed from steel which was painted light grey. Later the metal parts were left unpainted.